Two coverages require limits to be inserted in the schedule. A Personal and Advertising Limit of Insurance -must be inserted. Although the schedule indicates that limits could be found on the declarations page, there is no provision in the ISO recommended Declaration for a limit. The Limit of Insurance section of this endorsement specifically refers to a limit on this schedule. This is a per person or organization limit that is subject to the Garage Operations General Aggregate. The Fire Legal Liability limit – is $50,000 for any one fire but there is a space for a different limit to be inserted. This Limit is subject to the Garage Operations General Aggregate. A premium can be shown on the schedule. The personal and advertising injury liability protection is only for offenses committed while operating the insured’s business and only in the coverage territory and policy period as stated in the Garage Coverage Form and Declarations. This is important since an insured does not have personal injury liability coverage for any offense related to non-business or personal activities. Example: Jim Smith files a claim under his garage policy. That policy covers Epitome Garage, which Jim owns. The claim is for a personal injury lawsuit. Jim’s neighbor is suing him, claiming that Jim defamed him during a local school board meeting. The insurer for the Garage policy tells Jim that it doesn’t provide coverage since the incident has nothing to do with Epitome Garage. The insurer has the right and duty to defend any suit for covered offenses. The insurer may at any time and at the insurer’s discretion, investigate or settle any claim or suit. The insurer’s obligation ends, as does the right and duty to defend, when the Limit of Insurance has been exhausted in payments of either judgments or settlements. For an example of the clarification and definition of what is covered under Personal Injury, please refer to PF&M Section 270_C052, Personal Injury Liability Coverages Held Applicable to Claim for Damage to Reputation in Court Cases. For an illustration of what is not covered under Personal Injury, please refer to PF&M section 270_C002, Advertising and Personal Injury Coverages Held Not Applicable to Recording of Employee Telephone Conversations, in Court Cases. For insurers and brokers that have access to coverage for a variety of difficult, unusual or specialty advertising situations, refer to the section for Professional Liability in THE INSURANCE MARKETPLACE, published by The Rough Notes Company, Inc. If a partnership, the partners and their spouses. If a limited liability company, the members and their spouses. However, the coverage does not include any offense that came about due to another partnership. All employees, executive officers, directors and stockholders are insured. However there is a restriction – this coverage is only applicable while they are operating with the scope of duties. Any and all expenses the insurer incurs while handling the claim. These expenses cannot be demanded by the insured but are those expenses that the insured chooses to make. Courts may require bonds in order to release attachments against the insured. In those circumstances, the insurer will pay for the cost of those bonds up to the Personal and Advertising Injury limit of insurance. Example: The court has demanded a bond of $1,500,000 in order to release the attachments against the insured. The Personal and Advertising Injury Limit of insurance is $500,000. The insurance company will pay for the cost of a $500,000 bond and the insured will need to pay for the cost of the additional $1,000,000 bond. If the insurer requests the insured to participate in any investigation or defense of any suit against the insured, reasonable expenses are provided for the insured. This includes any actual loss of earnings, up to $250 a day, if the insured must take time off work. The cost of a trial can be substantial and those expenses can be taxed against the insured. The insurance company covers those costs. In cases where the court assesses the trial costs and expenses against the negligent party, this supplementary payment can provide benefits, over and above the policy limits. Interest on the amount of the judgment that has accrued after the judgment has been entered but before the insurer has paid the judgment or the policy limits is covered in full. However, this benefit ends once the insured has paid the Limits of insurance to the plaintiff, the court or even offered to pay the amount. Example: A judgment has been rendered against the insured for $3,000,000. The policy limits were $1,000,000. The insured wants to appeal but the insurance company wants to end the case. They provide the $1,000,000 payment to the court to hold. This ends the insurer’s responsibility to pay interest and also to defend the case further. It is important to note that a court may refuse the payment and require further defense. Offenses or damages the insured has assumed in a contract or agreement are excluded, unless the insured would have had that liability regardless of the contract or agreement. Example: A celebrity agrees to endorse the insured’s operation and products and insists on a written agreement in which the insured promises not to slander or libel the celebrity. This agreement does not trigger the exclusion since liability would have existed regardless of the agreement. Offenses caused by or directed by an insured who has full knowledge that the action violates another’s rights and would cause a personal or advertising injury. Offenses of either oral or written publications, done by or at the direction of the insured that the insured knew were false are excluded. Example: Using the example above, Billy Joe has decided to include his stories about Mary in the newsletter that he writes and distributes to his employees and customers. Again Mary brings a suit and, again, there is no coverage. Whenever the oral or written publications take place prior to the policy period, there is no coverage. Example: Billy Joe and Mary broke up at Thanksgiving and she started seeing Paul at Christmas. Billy Joe started smearing Mary’s reputation on Christmas Eve. Billy Joe finally gets around to buying garage coverage for his auto dealership. However, since Billy Joe’s policy has an effective date of January 1st, there would be no coverage. Criminal actions are not covered, if the action was done by the insured or at the direction of the insured. A breach of contract is not covered unless the breach happens because of an implied contract to use someone else’s idea in an advertising plan. Example: Scott had a great idea for advertising his favorite car dealership. He contacted the company and they seemed excited about the idea. They even provided a contract and Scott signed away his idea with the promise that he would star in the commercial if used. Later they told him that they had decided not to pursue his idea. Three years later, Scott noticed a commercial that looked almost exactly like the one he had proposed. He sued for the terms of the contract. Coverage would be denied by the insurer since there is a breach of contract. However, if Scott had just written to the company, providing information and suggesting ideas but had never entered into an agreement, the insurer may defend because any contract was merely implied, not actual. Damage due to a failure of goods, products or services to do what they are supposed to do, based on an advertisement, is not covered. Any ad which makes a mistake regarding pricing on products, services or goods, is not covered. Example: A customer sues the insured as a result of an advertisement in a newspaper that misprinted the price of a car by incorrectly placing the decimal. No coverage exists for this loss. If the insured is in the business of advertising, broadcasting, publishing, or telecasting, there is no coverage except for false arrest, detention, imprisonment, malicious prosecution, wrongful eviction, entry or other violations of tenant rights. In this instance, coverage is limited to offenses that are not related to an insured has media operations. Employment related practices are excluded with regards to the person directly impacted and also to any family member who might have been indirectly impacted. These practices include the refusal to employ, termination of employment, coercion, evaluations, demotions, discipline, harassment, humiliation, discrimination, reassignment and other similar actions that are directed against a particular individual. There is no coverage for the direct action nor for any procedures, policies, actions or omission that are alleged to have caused the action. Example: The procedure manual at Phillips Auto World stated that harassment was not permitted on the premises or at any company function. However, at the company picnic, the “fun” included many situations that could be interpreted as harassment. The male employees were tired of the male-bashing and asked the Personnel Department to stop it. They were informed it was “just fun.” Soon the jokes spread into the workplace. Finally, a group left the company and they, along with their spouses, sued the company due to emotional distress. When the insurer asked for coverage, it was denied. Any claim or loss that comes from any pollutant. It can be actual, alleged, threatened and still not be covered. This is an absolute pollution exclusion. There is also no coverage for the cost or expense to deal with pollutants in any way. That means that if a governmental authority orders clean up or orders the insured to respond in any way to pollutants, there is no coverage. For an example of one court’s interpretation of the advertising injury exclusions, please refer to PF&M Section 270_C005, Advertising Injury Exclusion is Interpreted by Court in Court Cases. Personal and Advertising Injury is an additional exclusion that has been added to the Garage Policy Exclusions. When bodily injury is caused by personal and advertising injuries there is no coverage. This is done to prevent potential duplication of coverage. 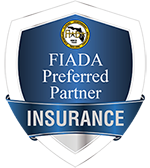 The personal and advertising injury coverage includes any consequential bodily injury due to personal and advertising injury so all bodily injury due to personal and advertising injury is totally excluded under the Garage Operations coverage. Since this coverage is separate from the coverage form, a paragraph must be added to explain how the personal and advertising injury limit, listed on the schedule, relates to the other limits on the policy. The personal injury and advertising injury liability limit is subject to the aggregate limit of insurance for garage operations—other than covered autos. It doesn’t matter how many insureds, claims, or suits have been made or brought. The insurer is only going to pay up to the personal injury and advertising injury limit of insurance shown in the schedule of the Broadened Coverage—Garages Endorsement. Any payment made will be subject to the remaining Garage Operations – Other Than Covered Autos aggregate limit. Example: Willy has had a rough year. First, a tire he was installing on a truck exploded and injured a friend who was visiting him. This injury resulted in a $250,000 payment. Then, a customer was mugged in the dealership parking lot after hours. She sued and was awarded $200,000 for her injuries. Now, Fred’s Towing is suing Willy for defaming his name. Fred said he lost his city towing contract (worth $200,000) shortly after a city councilman overheard Will say that he would never trust a “weasel” like Fred to tow his customer’s cars. Willy has a garage policy with a broadened coverage endorsement. The limit of insurance for the garage is $500,000 with an aggregate of $500,000. The limit of insurance for the personal and advertising injury is also $500,000. It looks like Willy’s hard times will continue. His aggregate limit has been depleted by the prior two claims. There is only $50,000 left in the aggregate to handle the personal injury lawsuit. This coverage adds two new definitions to the policy. The other definitions found in the Garage Policy also apply to this endorsement. Malicious prosecution is in the eye of the beholder and must be determined in a court. One party may feel they are just exercising their right s while another may feel harassed because they are attempting to enjoy their life. Example: Francesca’s Used Cars is located in a commercial area. Next door is “High on the Hill Adult Novelties.” Hill’s customers have been known to try out new paraphernalia in Francesca’s parking lot and this upsets her patrons. She regularly calls the police to report High on the Hill. High on the Hill is now suing Francesca for malicious prosecution saying she is trying to ruin their reputation so that she can take over the location. Invasion of tenants rights by or on behalf of the owner, landlord or lessor, through wrongful eviction, wrongful entry into or other invasions of a person’s right of private occupancy of space rented or leased from the insured. Slander or libel of a person or group. Also, disparaging remarks regarding goods, products or services belonging to, sold by, manufactured by or associated with the person or group. Violation of an individual’s right to privacy through oral or written publications. Misappropriation of advertising ideas to use them in the named insured ads. Any use of another party’s slogans, copyrights and trade dress in the named insured’s ad, which is not done with permission and therefore infringement of the other’s rights. For an illustration of misappropriation of trade dress, please refer to PF&M Section 270_C087, Advertising injury Coverage Held Applicable to Misappropriation of Product Style Promoted in Ads in Court Cases. Advertisement is any notice that goes out to the public through publication or broadcast that is designed to attract customers and/or supporters to the named insured’s products, goods or services. The notice may go to a specific segment of the population or to the general public. As long as the insured is not in the business of selling, manufacturing, distributing or serving alcoholic beverages, there is coverage because of damages due to the giving or serving of liquor at garage business related functions. Example: Joey, a mechanic in the service department at Phoenix Pre-Owned Motors, turned 21. Phoenix’s repair crew decided to have a party in the service bays after hours. The service manager and everyone left at midnight. Joey was unaccustomed to alcohol and ran a stoplight, striking a car and causing injuries. Joey had low limits, so Phoenix was sued due to their contribution to the loss. There could be coverage under the host liquor coverage. If a business sells beer or other alcohol in addition to their garage operations, this coverage will not come into play since then they are in the business of selling alcohol. For illustrations of this exclusion please refer to PF&M Section 270_C045, Liquor Liability Exclusion Held Applicable to Nonprofit VFW Post, in Court Cases and/or to PF&M Section 270_C046, Liquor Liability Suit Based on Failure to Restrain Patron Did Not Circumvent Exclusion, also in Court Cases. For a method of handling an insured’s liquor liability exposure, two versions of a liquor liability policy exist. Either ISO’s Occurrence Policy Coverage Form—CG 00 33 or Claims-Made Policy Coverage Form—CG 00 34, may be used. For insurers and brokers that have access to coverage for a variety of liquor liability situations, refer to the section for Drugs and Alcohol Risks in The Insurance Marketplace, published by The Rough Notes Company, Inc.
Fire legal liability coverage is added by changing the Garage Coverage Form so that protection applies to property damage caused by fire. However, the fire has to occur in a premises that is either rented to or occupied by the named insured. Further, the owner of the property has to have given permission to the named insured to be on the premises. Since the Garage Form contains a variety of exclusions, coverage for fire legal liability is accommodated by exempting it from more than a dozen form exclusions. The exclusions that don’t apply include workers compensation and similar laws, employer’s liability, fellow employees, care, custody and control, leased auto, pollution, racing, watercraft or aircraft, defective products, work you performed, loss of use, products recall, war, and liquor liability. The Schedule of this endorsement shows the Fire Legal Liability Insurance Limit. If no other amount is shown, the limit is $50,000. However, this limit is subject to the Aggregate Limit of Insurance for Garage Operations – Other Than Auto. The Garage form coverage is considered primary unless it specifically states that it is excess insurance. It is important to note that this coverage is excess over other collectible property insurance that is available to the insured – not to the injured party. It is also excess over any applicable deductible the insured might have. The policy is specific that only garage operations are covered. Therefore, other operations are not covered. However, there may be a situation where assistance is rendered, that is not garage related and coverage should be provided. This is the case of incidental medical malpractice. In order for there to be coverage for a particular insured, that insured cannot be in the business or have the occupation of providing any of the medical services covered by this form. Note that the term is “insured,” not “named insured.” A member of the medical community may own a car dealership. Also, a spouse of a partner or member may be in the medical profession. Some employees may have health care degrees and are moonlighting to earn extra dollars. Example: A family is in the waiting room of the dealership and their young son is crying from a headache. A kind employee offers an aspirin to the child. The child develops Reyes Syndrome, which has been linked to aspirin use in children. The mother sues the auto dealership for supplying the drug when the bottle clearly stated that aspirin should not be given to a child under 12. Coverage could be available through this coverage. In the Garage Coverage Form, all liability for the ownership, maintenance or use of watercraft is excluded unless the watercraft is on shore. Coverage is granted to certain non-owned watercraft by eliminating Exclusion 11, Watercraft and Aircraft and replacing it with a new version. The new exclusion says that coverage does not apply to any aircraft nor to any watercraft that is owned or over 26 feet. If the watercraft is both non owned and under 26 feet there is coverage. There continues to be coverage for all watercraft when they are on shore provided the shore is the premises where the garage operations is conducted. This coverage is meant to apply only if there is no other coverage. If there is coverage available from another source this policy is not primary or excess, it is not available. If the named insured is an individual, the spouse is also an insured. However, if the named insured is a partnership, only the partner is an insured. With this extension, the spouse of the partner is included, but only in respect to the conduct of garage operations. The Garage Conditions section, General Condition B.7, Policy Period, Coverage Territory defines the coverage territory of the policy. This extension amends that condition to provide an expansion of coverage for bodily injury, property damage and personal and advertising injury. The expansion relates to insureds who are out of the territory. They have coverage provided their stay is only temporary but only if the suit is brought in the coverage territory. In case there is any doubt, there is no coverage outside the territory for any work the named insured performed. The intent of this endorsement is to bring the Garage policy’s liability coverage for other than owned autos more in line with the coverage provided under the Commercial General Liability Coverage Form. Would you offer a Commercial General Liability (CGL) policy to the insured? What concerns and exposures would you need to evaluate for the CGL? The same underwriting concerns and thought process should apply to this endorsement.